Android and iPhone users will now have the ability to set up Touch ID and Facial Recognition to quickly and easily access your most used functions. You are able to use the new recognition feature in place of your PIN to help you be more efficient. 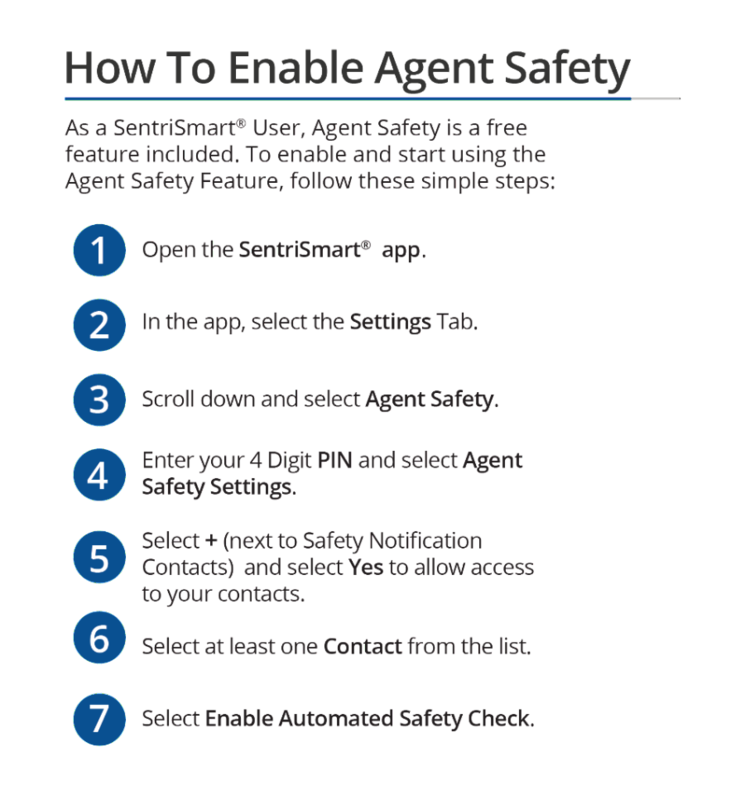 You can also use the new touch ID with the agent safety feature. 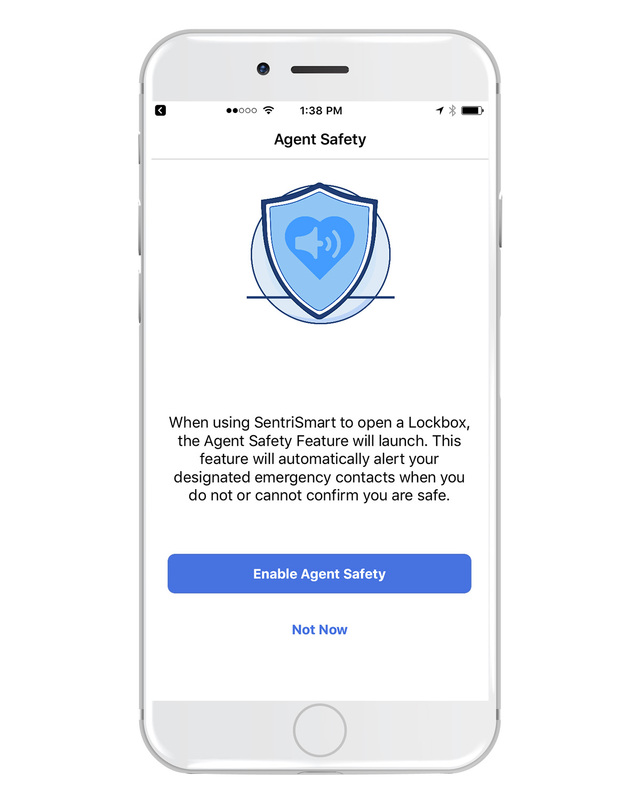 When using SentriSmart® to open a Lockbox, the Agent Safety Feature will launch. This feature will automatically alert your designated emergency contacts when you do not or cannot confirm you are safe. 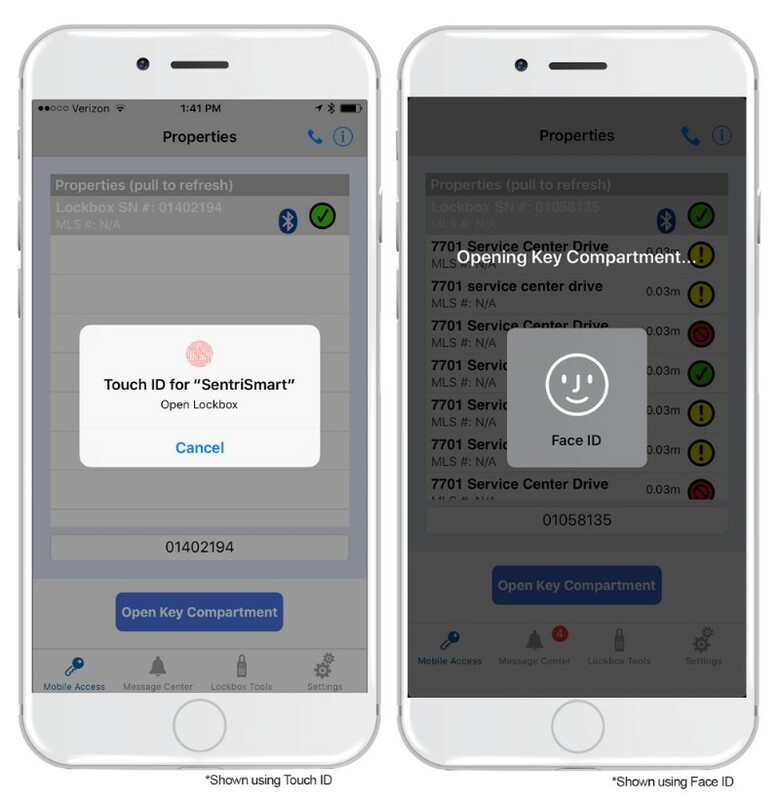 To learn more about SentriLock’s mobile app features, click here. Unsure about a feature? SentriLock has resources to help you out! Want to learn more about SentriLock’s newest features? Visit the SentriLock Help Page for detailed how-to’s, feature videos and additional tips. Posted in SentriLock and tagged lockbox, sentrilock on June 1, 2018 by Mark H..